Never gets old. I’ve been in and out of this restaurant since grade 9, so about 7/8 years ago. I know, it DOES seem like a long time…though time flies and it seems like yesterday I just entered my first year of high school. 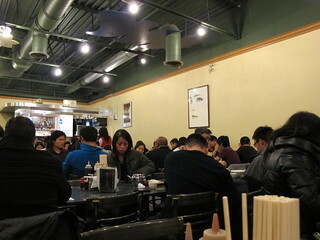 Whenever Dennis and I have a hard time deciding what and where to go for dinner, we always end up going here. We both went to the same high school, which is a 5-10 minute walk, and for me…many memories made here. I probably can think of 10 different friends from the same high school as me, going here since I knew that this restaurant existed. From talking about school teachers to boyfriends to gossip, this IS the place to do it ALL. One time, my cousin, A, took me out for lunch. And we couldn’t decide on where or what to eat. 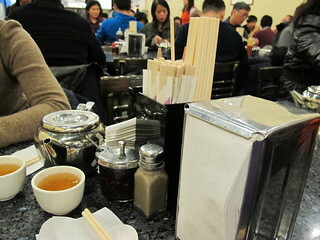 We both said “Pho 88” and started laughing together as we both wanted the famous durian drink from Pho 88. Dennis and I both categorize this restaurant as ‘fast food.’ Almost 95% of the customers already know what they want and don’t even bother with the menu. 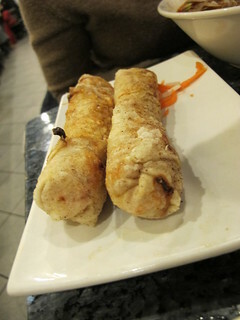 Spring rolls, 02 on the menu (I think). 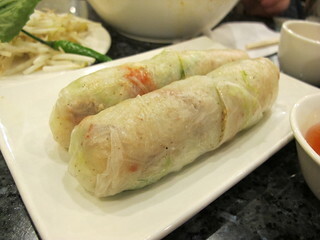 Rice rolls, 01 on the menu (I think). 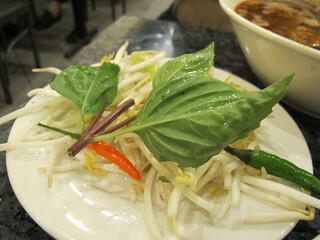 A plate of basil, chilli peppers and bean sprouts for the soup noodles. 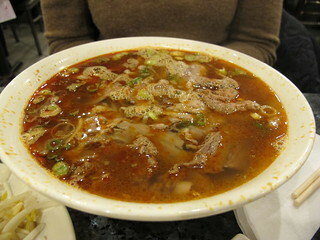 We usually order 101 or 102 (pho noodles with everything, L or xL), but we decided to try something new. Spicy satay beef. Was really SPICY! 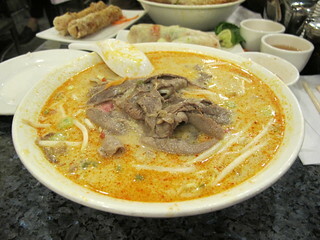 Dennis tried coconut and peanut pho noodles. Conclusion: we will stick with the most popular dish, 101 or 1o2 on the menu.